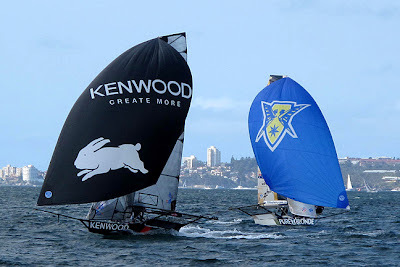 The third placing of Thurlow Fisher Lawyers today was enough for the team to retain the series on 18 points, with Gotta Love It 7 next on 21, Fisher & Paykel 22, Mojo Wine 23, Rabbitohs-Kenwood (Brett Van Munster) 29 and Asko Appliances (Marcus Ashley-Jones) on 30. 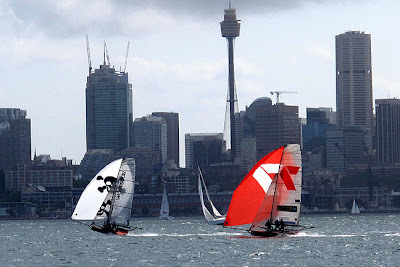 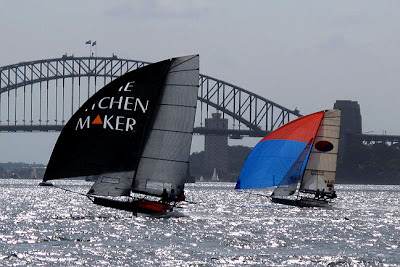 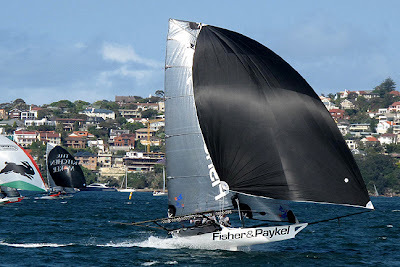 Most of the fleet elected to use their smaller number two rigs today with only The Kitchen Maker, skippered by Olympic Gold Medalist Malcolm Page, and Coopers-Rag & Famish Hotel (Jack Macartney) electing to go with their bigger number one gear. 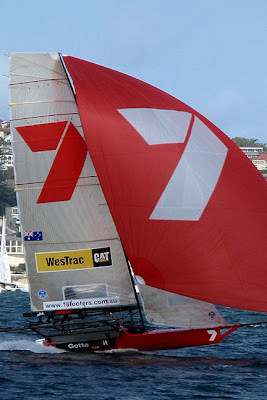 Sporting their brand new number two rig, Appliancesonline was showing excellent pace and holding out Gotta Love It 7 before a slow mark rounding at the end of the third lap enabled the champion ‘7’ crew through for a well deserved victory.